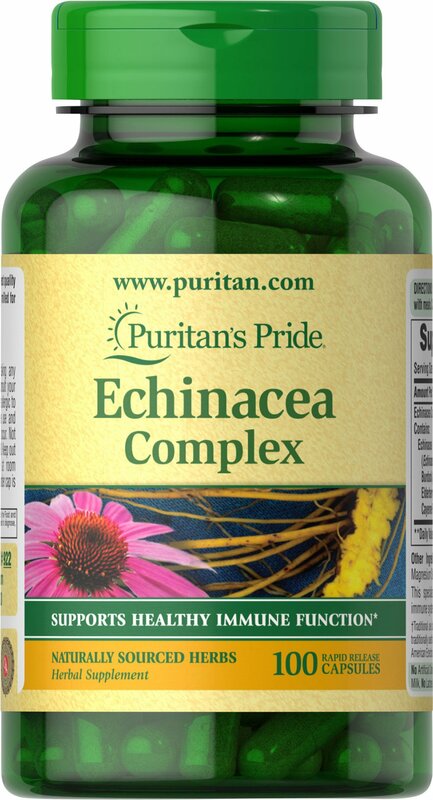 Echinacea is one of the world’s leading herbs for immune system support** Puritan's Pride Echinacea Complex is expertly blended so you receive a synergistic formula that reflects the best Mother Nature has to offer. Puritan’s Pride’s Guarantee: We use only the finest quality herbs and spices. Each is screened and finely milled for quick release. Puritan’s Pride’s preservative-free gelatin capsules contain pure milled herb powder.